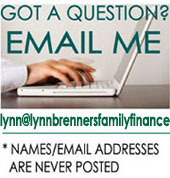 Lynn Brenner's Family Finance: Can a Disabled Person Work After Age 66 Without Losing His Social Security Benefit? Can a Disabled Person Work After Age 66 Without Losing His Social Security Benefit? You've understood the rules correctly. After you reach your full retirement age -- in your case, 66 years old -- your Social Security disability benefit automatically becomes a retirement benefit. You still receive the same amount every month. (A Social Security Disability benefit is equal to your full Social Security retirement benefit, regardless of the age at which you qualify to receive it.) But after you turn 66, your monthly check is paid by the Social Security Administration Retirement Trust Fund instead of the Disability Trust Fund.